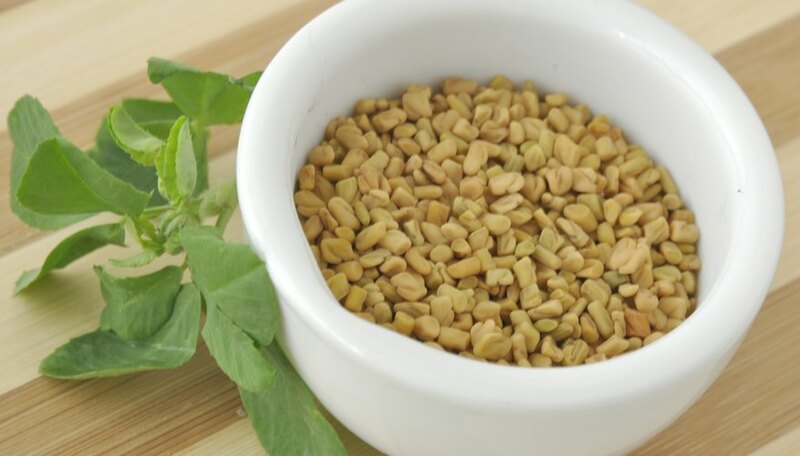 Fenugreek, also sometimes called mehtya or methi, is an herb traditionally used in Indian cuisine. Both the leaves and the seeds can be used, but they have different flavor profiles. You can use maple syrup, celery leaves or mustard seeds as a substitute for fenugreek, depending on whether you are replacing the leaves or the seeds. Dried leaves can be used in place of fresh ones. Fresh fenugreek leaves can be hard to find, but dried fenugreek leaves can be used in place of fresh leaves. Dried fenugreek leaves are also called "Kasuri Methi." 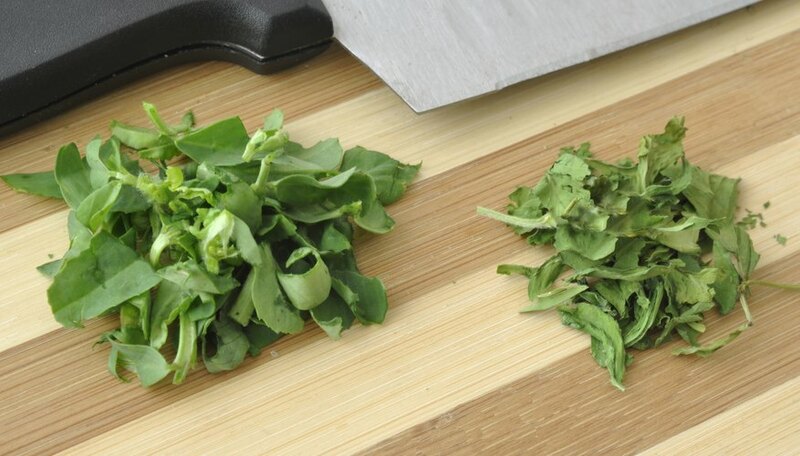 To substitute fresh leaves with dried, use one-third of the original amount of fresh fenugreek leaves. 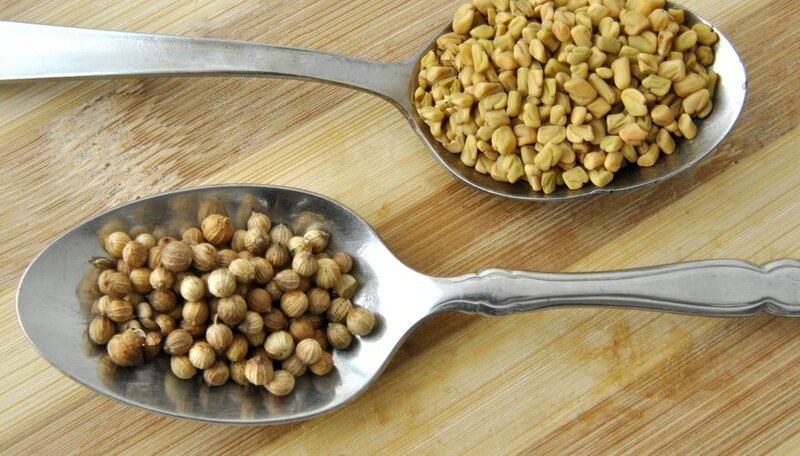 Because the leaves and seeds have such different tastes, you cannot substitute fenugreek leaves with fenugreek seeds. If you are unable to find dried or fresh fenugreek leaves or a suitable substitute, leave the fenugreek out of the recipe. Fenugreek leaves have a distinctive scent, and they look a bit like thyme leaves. The leaves have a slightly bitter, nutty taste and are little bit sweet. Taste of Home describes their flavor as being reminiscent of maple syrup and celery. If you can’t find fenugreek leaves, replace them with chopped celery leaves, which have the same slightly bitter quality. Alternatively, use a bit of maple syrup with the celery leaves to add a touch of sweetness and a maple scent. If chopped celery leaves are not available, use a watercress leaves instead. The seeds, which are sometimes sold ground into a powder, are much more bitter than the leaves; you need only a small amount in recipes. Substitutes for fenugreek seeds are yellow mustard seeds, which have a similarly bitter taste. Substitute mustard seeds for fenugreek seeds in a 1-to-1 ratio: 1 teaspoon of fenugreek seeds for 1-teaspoon of mustard seeds. 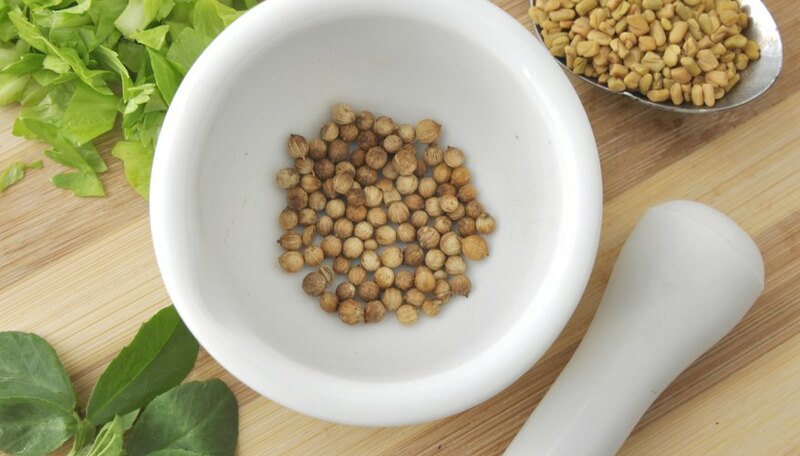 Mustard seeds, like fenugreek, can be used whole or ground into a powder. While mustard seeds are safe for consumption, the spicy oils they contain may irritate your throat. Wash fenugreek leaves thoroughly before using them. This removes any residual pesticides or dirt. Cut off the bottom ends of the stalks and discard them, but keep the small, tender stems. Because the leaves and stems will wilt quickly when exposed to heat, only a coarse chopping is needed. 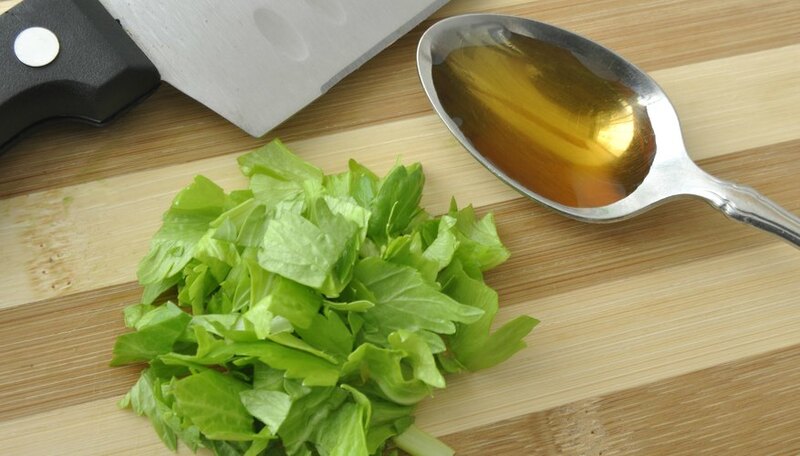 Wash celery or watercress leaves if you are substituting them for fenugreek. Add fenugreek or mustard seeds directly to a dish as whole seeds or powder. Toast the seeds in a dry pan before using or grinding to increase their flavor. Taste of Home: What Is Fenugreek?